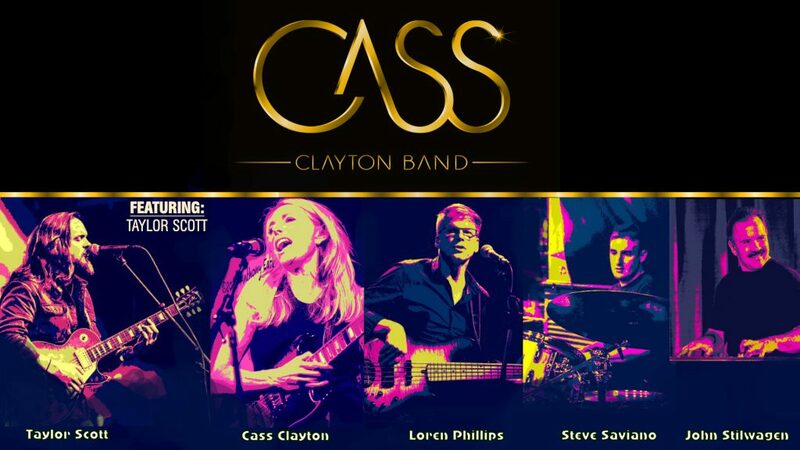 Cass Clayton Band is the culmination of a song-writing and composing collaboration between Cass and Taylor Scott that led them into the studio to explore new translations of their combined influences of funk, blues, jazz. gospel and rock. The. resulting album (released in June of 2018) is a thoughtful new-school soul record with countless inventive sounds and unexpected twists. Taylor’s virtuosic guitar playing and composing skills combined with Cass’s lyric writing, smoky 3-octave vocal range, and soulful vocal style have led to music that transcends the limitations of genre and grooves like nobody’s business. The powerful stories told through each song are at the center of their craft, and the music intricately pulls you in. 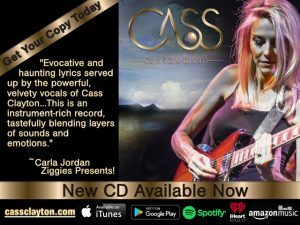 Cass was recently voted as one of the top three vocalists and top three slide guitar players in Colorado (CO Blues Society Members’ Choice Awards, 2017). 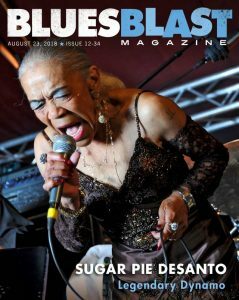 She has been lead vocalist and slide player for multiple bands, and is currently front woman for CC and the Riders as well as Cass Clayton Band. Taylor is an international touring guitarist/singer/songwriter who has toured throughout the U.S., Canada and Europe with both the Taylor Scott Band and blues legend, Otis Taylor. CCB often features guest musicians. Regular lead guitar players include: Taylor Scott, Christian Mockett and Dann Burke. Cass Clayton plays slide guitar and is lead vocalist. Loren Phillips, one of Colorado’s premiere bass players, holds down the groove, sings background vocals and acts as music director for the band. John Stilwagen plays keys and Hammond organ. Drummers for the band include Max DeVincenzo, Steve Saviano, and Carl Holz, depending on the show. CCB likes to keep it fresh and change the music up regularly, both for listeners and for their own joy! For more information about CCB, click here. The new Cass Clayton Band album was released in June of 2018 is now available in the Store, on Itunes, Spotify, iHeartRadio, and Amazon Music, as well as other outlets. 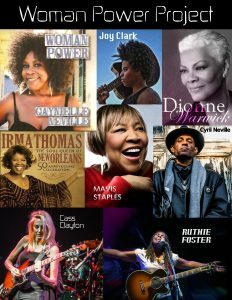 Cass is one of the musicians on a project called “Woman Power” with some iconic musicians, including Gaynielle Neville, Dionne Warwick, Mavis Staples, Irma Thomas, Cyril Neville, Ruthie Foster and Joy Clark. 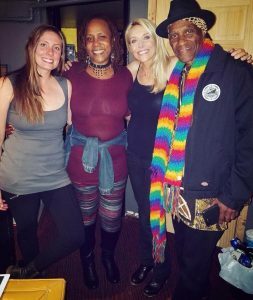 “Woman Power” was conceived by Gaynielle and Cyril Neville as a way to help empower underprivileged women and support them in breaking out of the cycles of poverty and abuse. In this project led by producer, Joe Michaels, a team of highly experienced music industry professionals and performing artists will record “Woman Power,” a song written by Gaynielle, as a benefit to women in crisis. Sponsors are currently being sought to support this effort, so please reach out if you can help! Rocky Mountain Music Relief – Cass and a few friends in music launched an organization in 2017 to raise money for hurricane relief and other natural disaster relief. A series of benefit concerts happened at the end of 2017, including a show at the Fox Theatre with Cyril and Gaynielle Neville! Cass is now on the board of directors of the relief organization, which will serve the Colorado musician community in the event of unforeseen hardships. For upcoming concerts and information, please visit our website at www.rockymountainmusicrelief.org. Radio, media and festival/venue managers may download MP3’s of our music through this Dropbox link. To listen without downloading, please visit the Music page of this site.